So, it seems that more and more people share the dream of starting a sustainable family farm. 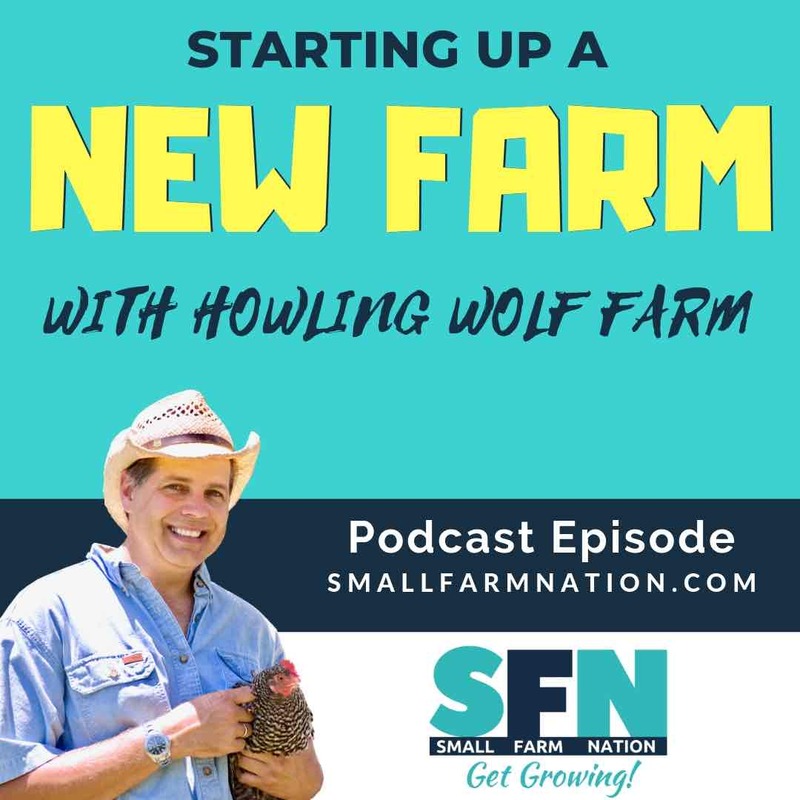 It’s a sentiment that I understand very well, since back in 2006, Liz and I opted out of the corporate world to start our own sustainable livestock farm. Starting and running that farm, which grew into an award-winning artisan cheese business, is my fondest business memory. 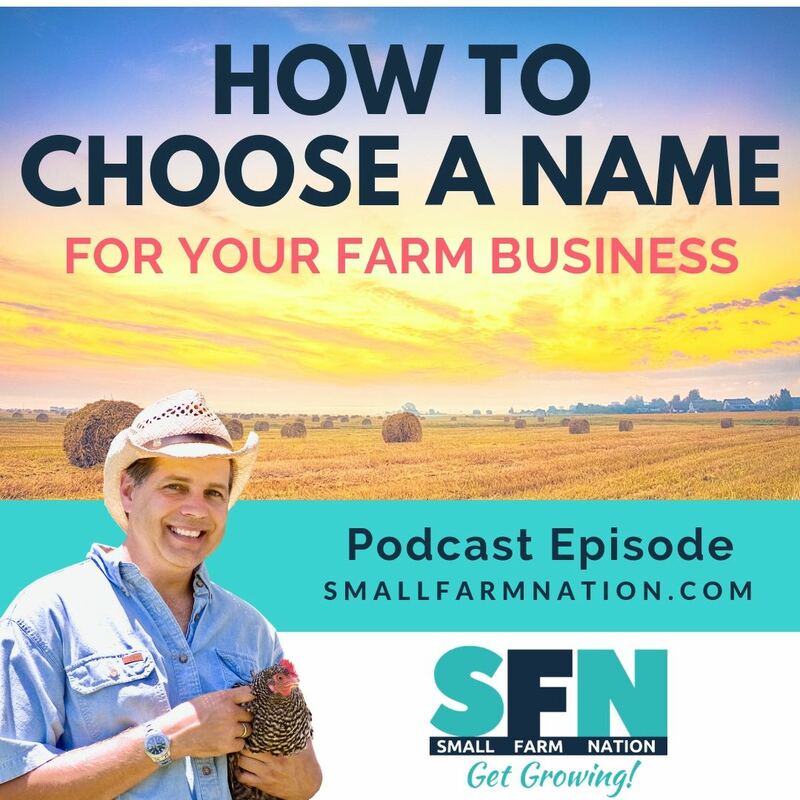 But, before you jump ship to do just that, let me offer some guidelines that may help you create a family farm that succeeds in every important way. Now, these guidelines, which I’ll call 11 Business Rules for Starting a Family Farm, are based on my experience. Others may have their own rules or guidelines to add, and as the title suggests, these are just business rules. Not rules about growing or animal husbandry. Still, I talk to a lot of family farmers who seem to be struggling. And when I look at their situations, it’s understandable, as they’ve ignored several of these rules. But, if you’re going to farm, you’ll want to succeed, and we all need you to succeed. There are a number of ways that people get into farming. Some folks are fortunate enough to inherit land and a family farming tradition. For those folks, farming is in their DNA and they know it’s a farming business, not a weekend hobby. 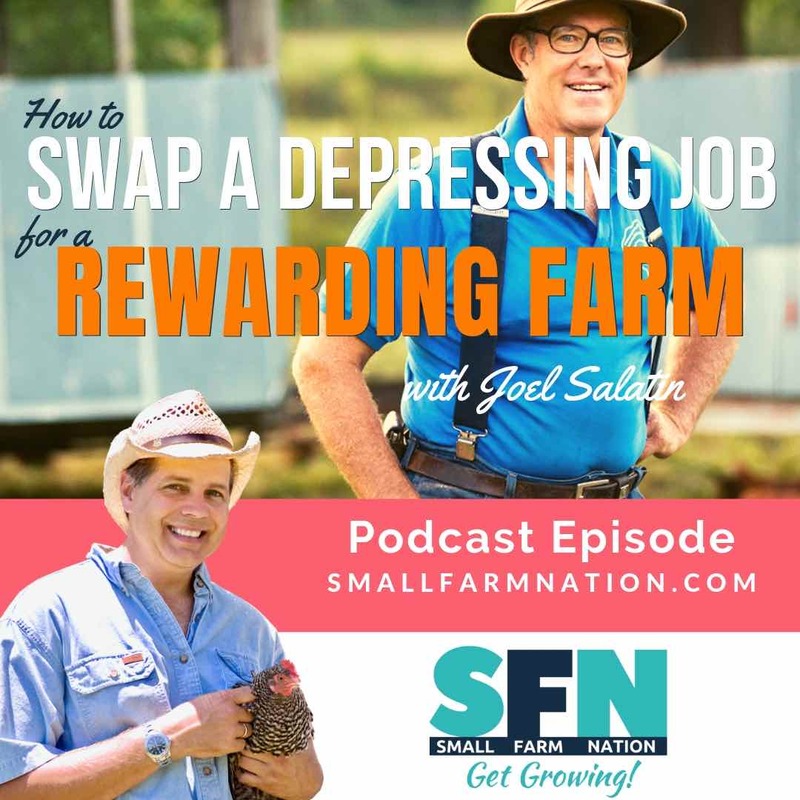 Others get into farming by making a conscious choice to leave a career and start or acquire a farm. I’ve seen both sides of that fence, having left the world of B2B marketing to start a livestock farm. I also saw the acquisition side when I sold that farm business to a professional couple who wanted into that world. But many people, if not most, get into farming more slowly. Before they know it, they’re farming, without ever having created a business plan to succeed at farming. A few years go by and they expand their flock of chickens, either layers or a dozen or so chicken tractors pulling meat birds. Their days are busy, pulling tractors, cleaning eggs, seeding, planting and harvesting crops. Then they rush to a Saturday market to sell what they can, bring home what they can’t and keep doing the same thing. And they learn a hard truth–if you build it, they WON’T come. I know a lot of people like this, many friends. They never stop and assess if what they’re doing is the right business model, because they never created a business plan in the first place. They just started with a hobby and keep doing the same thing. But here’s the thing. 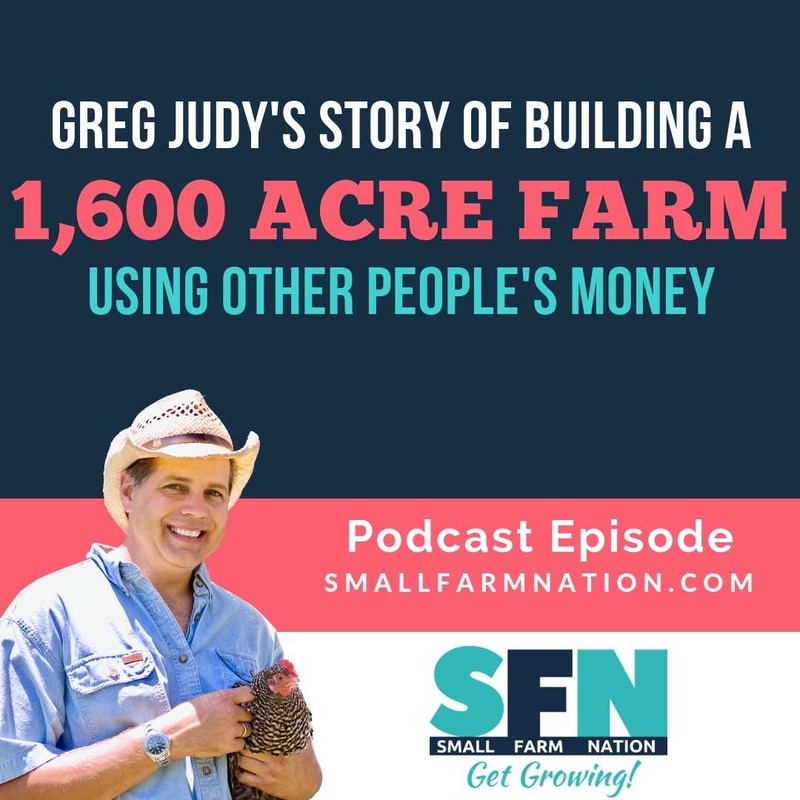 If you want the farm to produce your income, it’s a business. So you must treat it as such. One of the reason that so many people, at least on the livestock side, start with chickens is because they view it as low risk. After all, a few hens don’t cost much, so it’s easy to start producing eggs for others. 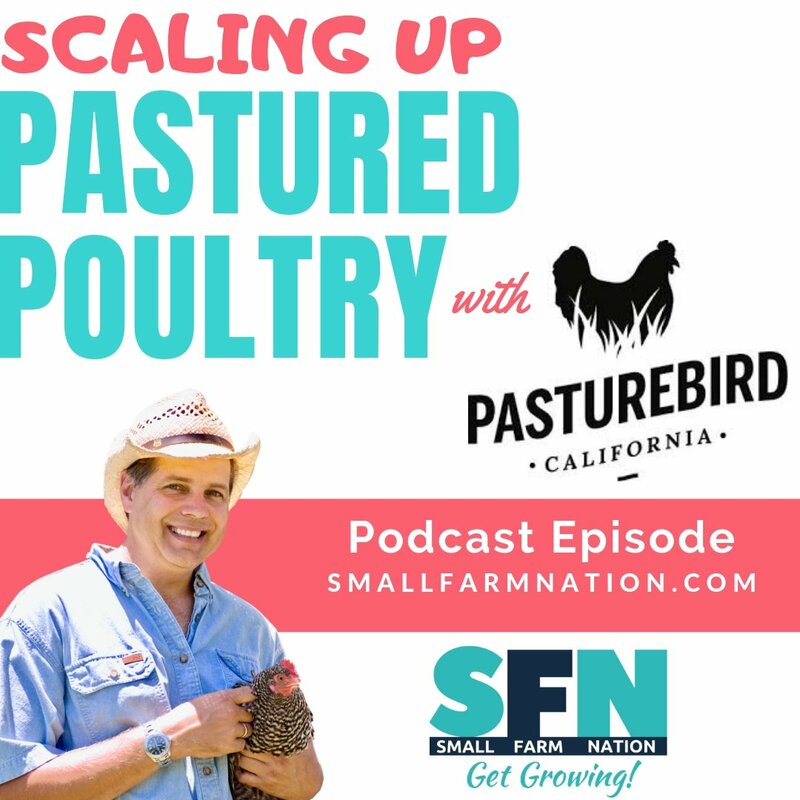 And chicken tractors aren’t expensive to build, so it’s not that big a deal to get into the pastured poultry meat business, though you do have to figure out the butchering and processing side. But here’s the thing. 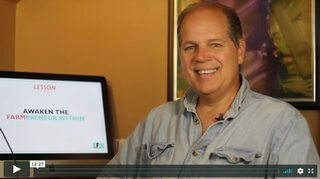 If the business is easy to get into for you, it’s easy for someone else to do the same. That means the barriers to entry are low. And, generally speaking, that’s bad. So how will you achieve a competitive advantage? Now, don’t get me wrong…you can get an advantage in that business. But, if the barriers to entry are low, your advantage has to come from proximity to markets, being a low cost producer or because you’ve achieved great brand recognition. There are a number of ways you can gain an advantage regardless of what specific farming strategy you choose, but the point I’m making is this: nail down what your competitive advantage will be before you start. Then, have a strategic reason for every farm enterprise you operate, and every farm decision you make. In other words, don’t just ramp up your meat chicken production next year because you sold out this year. 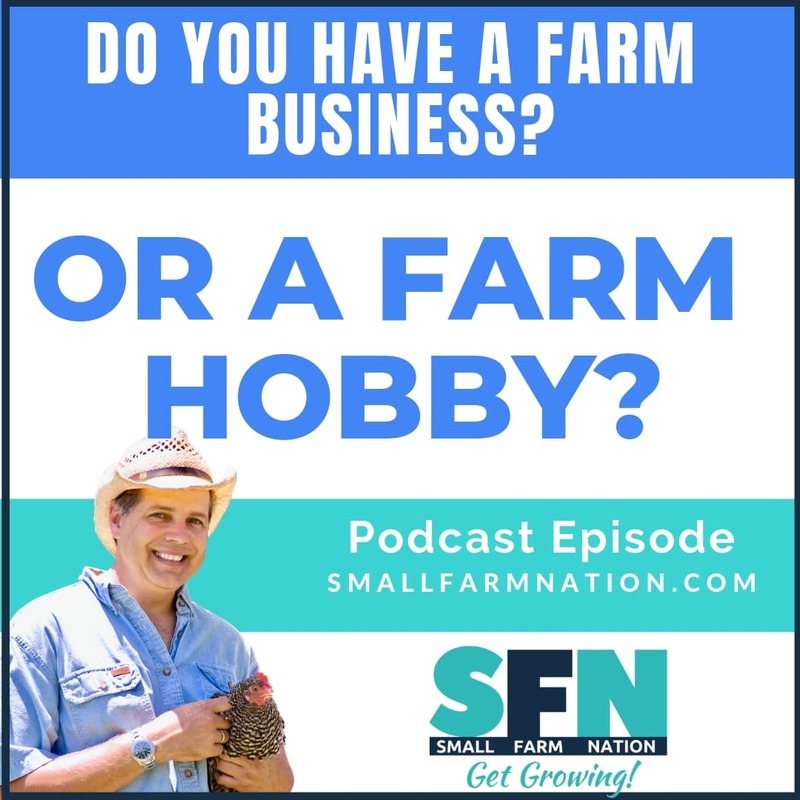 If your motive is profit, and it should be because this is a business, right, then you have to assess what the most profitable farm enterprise is for you and your market. For instance, years ago we raised heritage turkeys for Thanksgiving. We’d raise a few hundred per year and sell them to customers in and around Atlanta. We always sold out at $7.50 /lb, and that was in 2009-2010. But, even though we sold out, it wasn’t the easiest sale, since grocery stores pretty much give away turkeys at Thanksgiving. And here’t the thing—-even at that price, it wasn’t a profitable business, a fact compounded by the downside of only getting paid once a year, after many months of fronting cash for feed, labor and utilities. raising heritage turkeys did nothing positive for our bottom line, and removing the enterprise didn’t risk our customers in other areas. We did, and that’s what led us to starting a Grade-A raw milk dairy and farmstead cheese business, which was not only much more lucrative, it was much easier to differentiate ourselves and have competitive uniqueness. After all, the barriers to entry in that business are substantial, since it requires land, livestock, infrastructure and, well…you gotta know how to make good cheese. If you have something to sell, there’s a lot of ways to sell it, right? Particularly in this day and age of e-commerce and drone shipments. 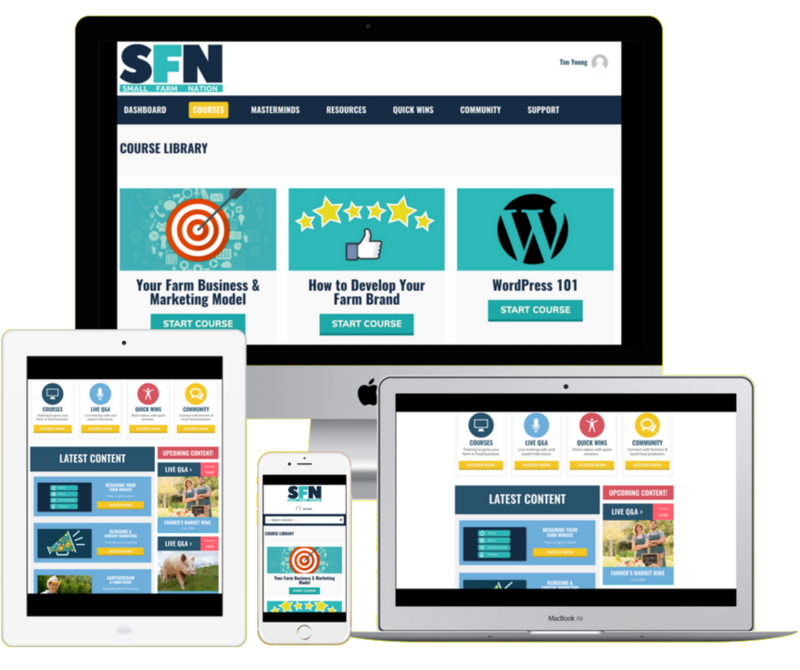 But the fundamental questions you have to CLEARLY answer are, who are you going to sell to and how are you going to reach them? 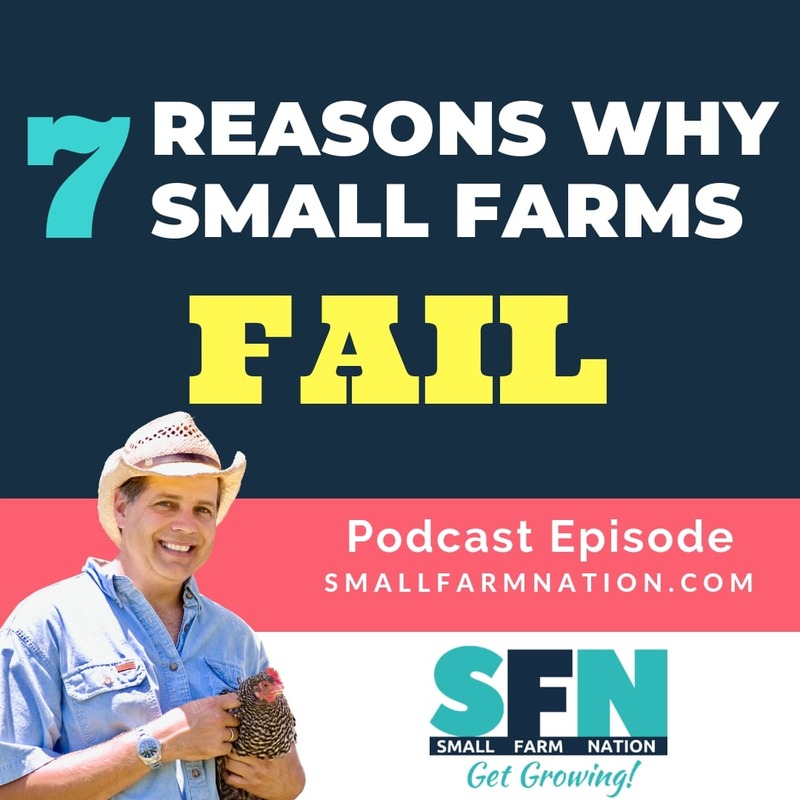 Now, as members of theSmall Farm Nation Academy know, I don’t believe in wasting time trying to define your ideal customer. 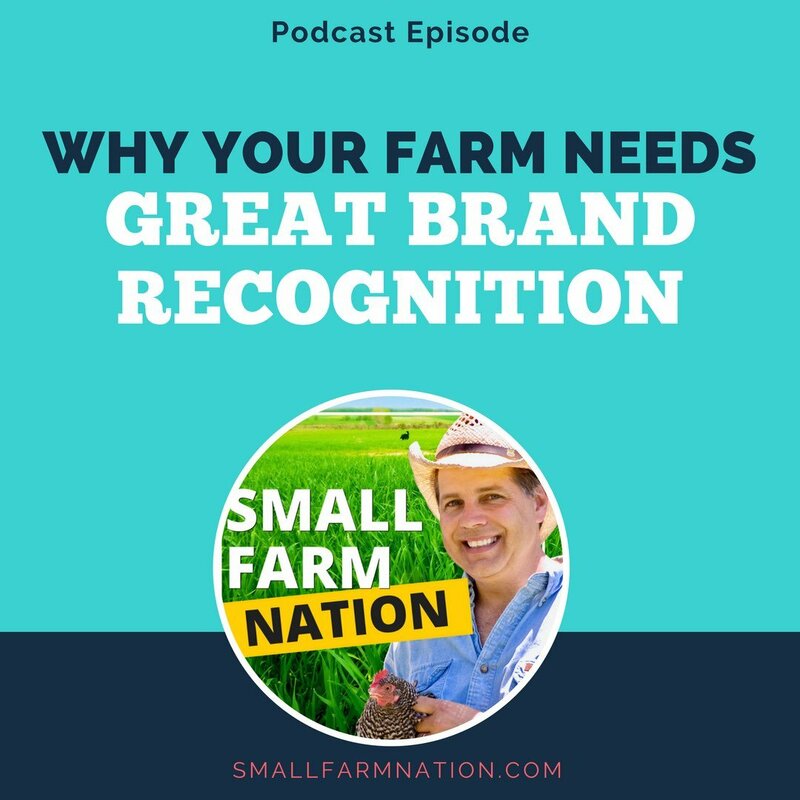 But what you’ll have to determine is this: how will you find and reach customers who will buy YOUR specific farm products? And, you’re either going to be selling a product, such as soap or cheese, or a relationship, such as with you the trusted farmer. 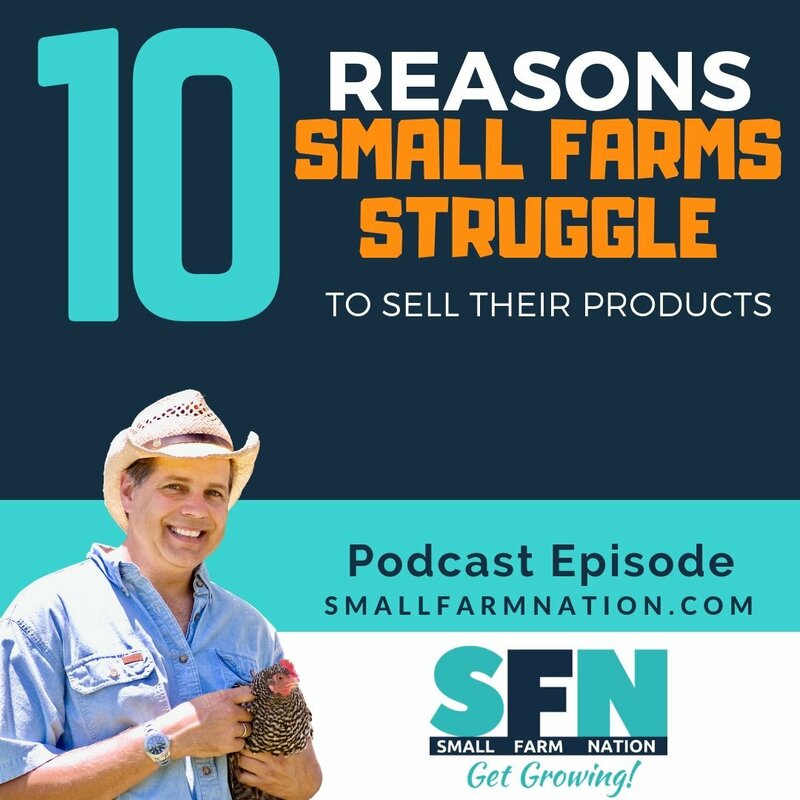 And, yes, many farm customers purchase because of both the product AND the relationship, but many farm products, such as cheese and soap, as sold to distant markets where the buyer has no connection with the farmer, or producer. 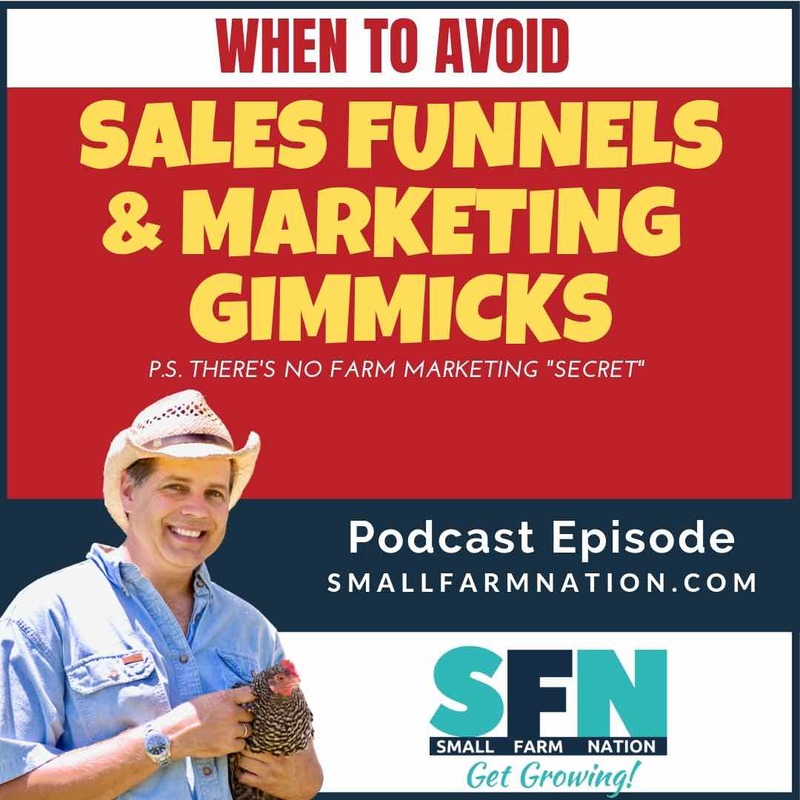 On the other hand, if your chosen competitive advantage is dependent on the buyers having a relationship with you, that’s going to require direct marketing, meaning you’ll be selling either at markets, on farm, or via CSA or MBC. 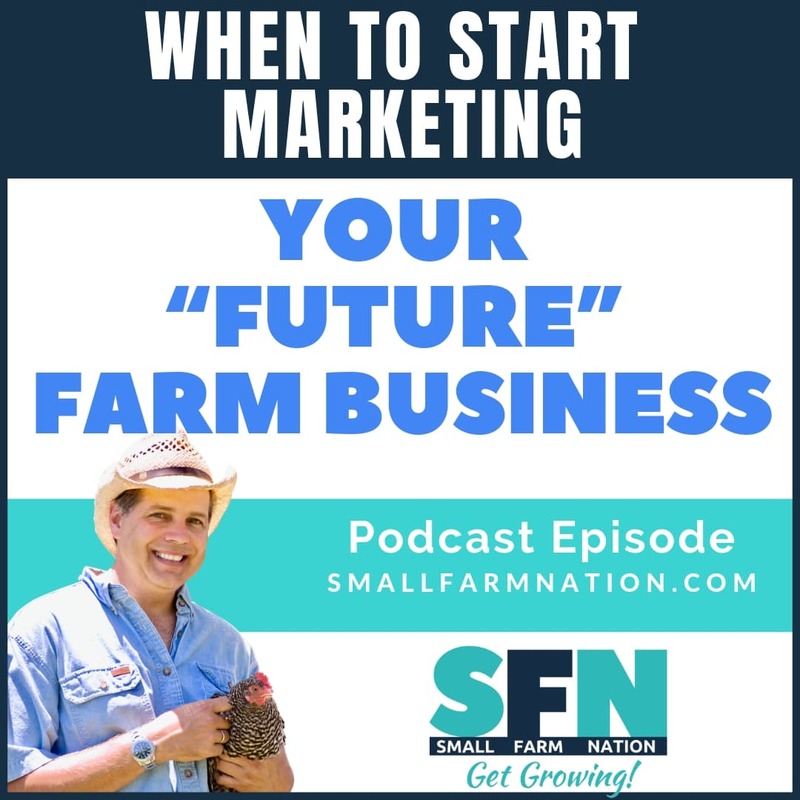 And marketing will eat up half of your time in running your farm business, as you create your website, build your brand, build your email list and do email marketing, manage orders and payments and deal with customer service issues. Virtually none of those issues exist when selling through distributors, but, then again, you get all the retail dollar when selling directly. So, do your business plan, choose your competitive advantage and then decide the best way to go to market to achieve that advantage. I’m tempted to say this third rule, figuring out where you’re going to find your customers, is the most important of these 10 rules. But, actually, it’s a tie with the next rule. So, I say almost, because debt can be used intelligently to gain leverage. But that doesn’t mean most people use debt intelligently. 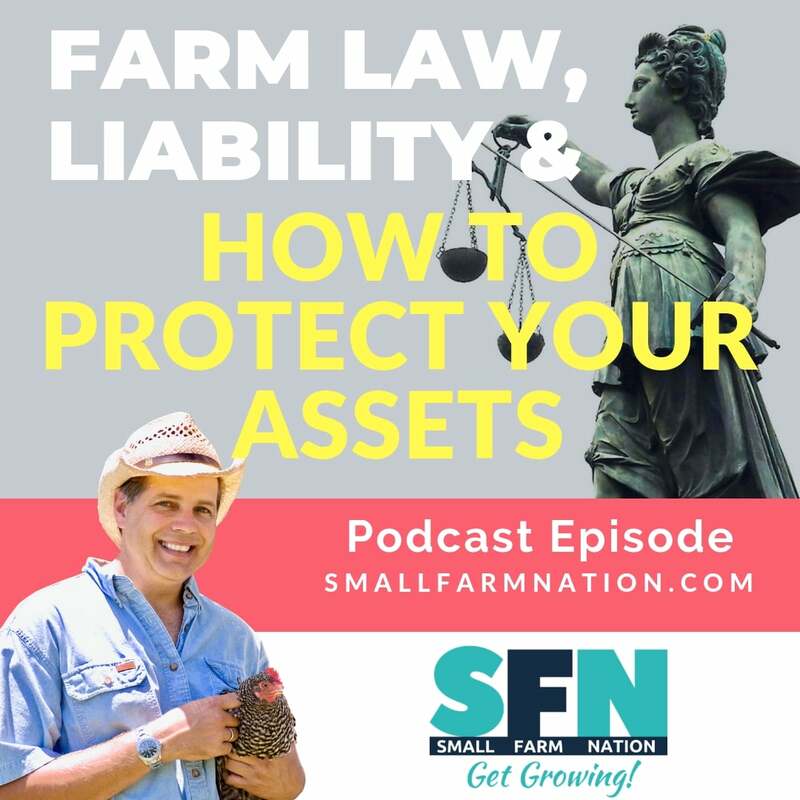 Look, your farm is a business, and businesses have balance sheets. So let’s look at that. Balance sheets are divided into assets and liabilities. Assets-good, liabilities-bad, right? Because that’s something you owe…it’s a debt you gotta settle. So you better be sure you have the ability to settle it, or the creditor will come after your other assets. Like your land and house. 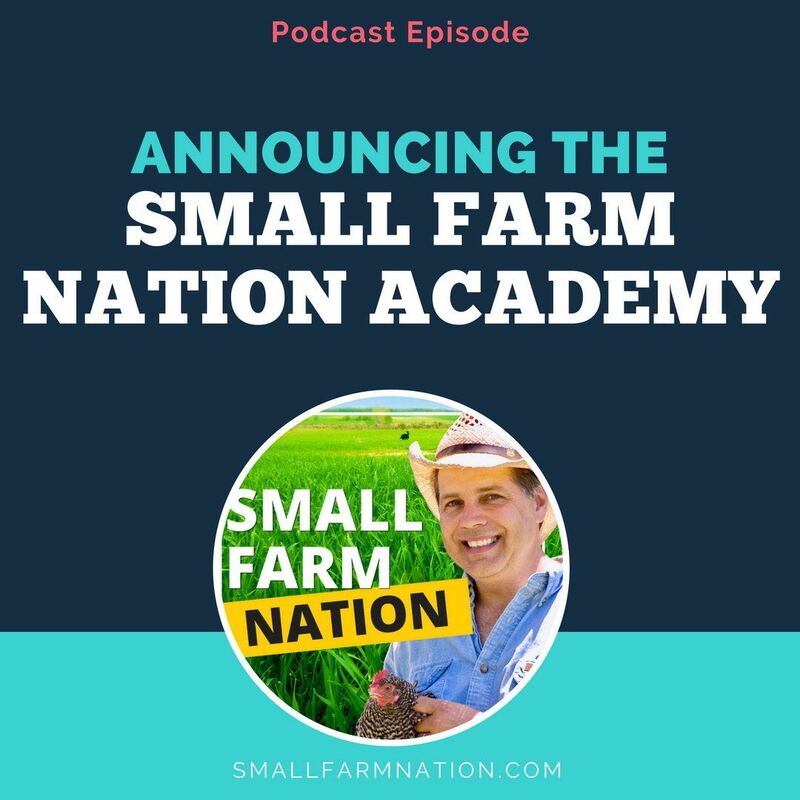 In fact, one of the members of the Small Farm Nation Academy just posted in the forum how that exact scenario happened to them. But, if your business has the income to support the debt, then some debt may make sense. I mean, I used to have a $3million line of credit with a bank to fund payroll and working capital until I received payments from customers, with the customer receivables being used as collateral. So, it made sense in that case. But would I use debt to buy a tractor to make my farm life easier? Hell no—-I mean, heck no. Sorry kids. Because I can’t quantify the income I’ll generate as a result of that purchase to service that debt. So no way. I’ll get that tractor when I can afford to buy it. There are lots of ways you can fund your farm business, from grants, to savings and family help, to upfront payments via CSA programs. Just remember…it debt ruins far more farms than drought. There’s enough to worry about in farming. 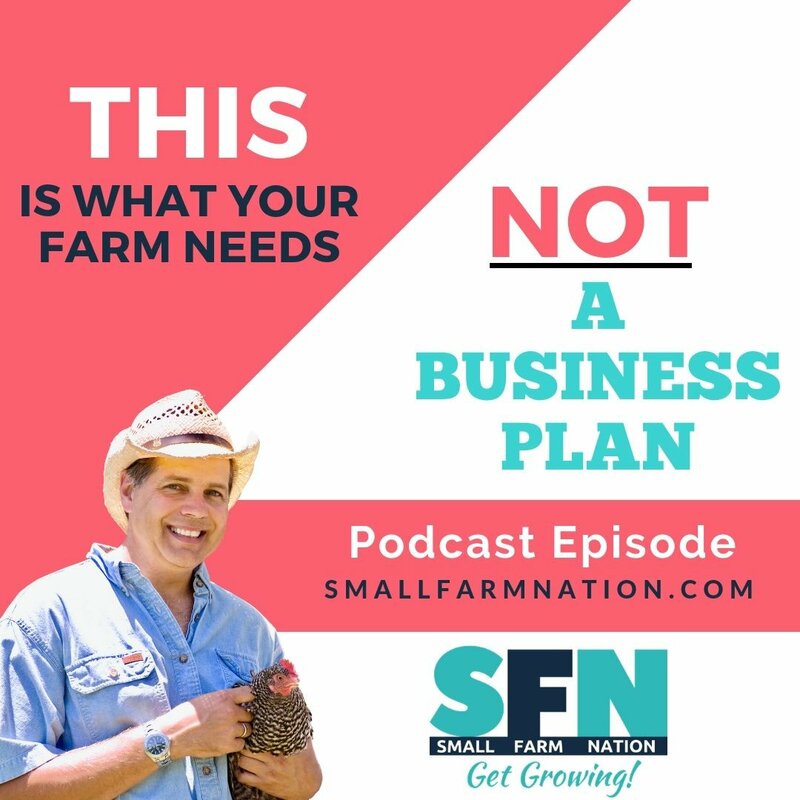 Design your farm business to run without debt so you don’t add that level of stress. This is both a business and a ecological rule. And it’s important because we often get caught up in our ideology, or our fantasies of what we want to do on the farm. That’s fine—-if you have a hobby farm. But the minute you depend on it for income, it’s a business, and you gotta let go of those fantasies. 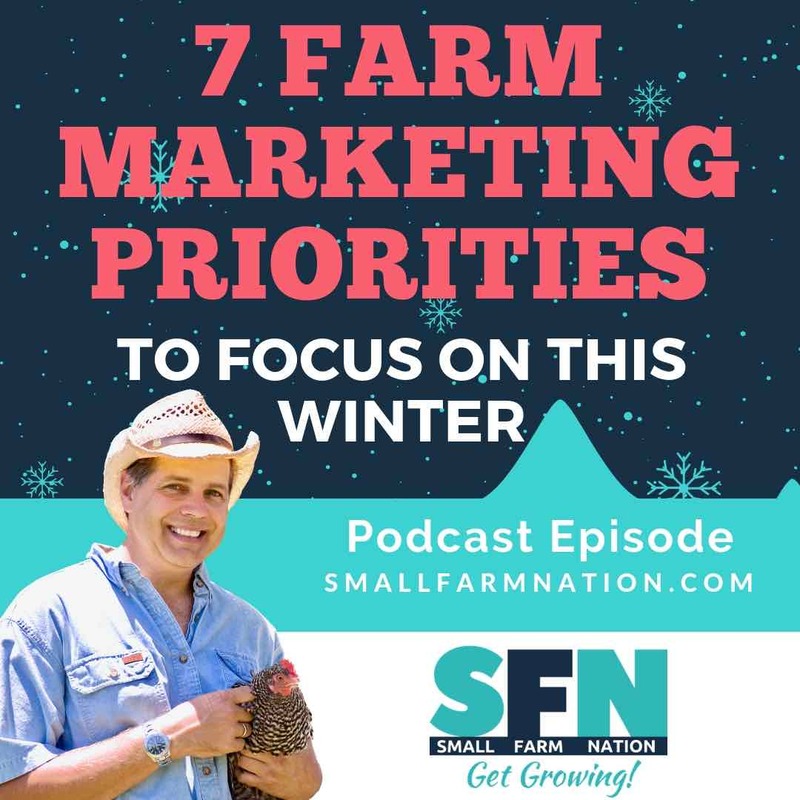 But that doesn’t mean you can’t match your primary business objective—to earn attractive profits—with your ecological values and land resources. For instance, I never set out to be a pig farmer. But my first piece of rural property was comprised of about 80 acres of pasture land and over 30 acres of hardwood forest. Sure, I put cows on pasture for beef and milk to use the grass. In fact, I raised sheep, turkeys and tons of chickens out on pasture with the cows, stacking multiple enterprises on that resource. But what could I do to make the woodlot productive? Beyond pigs in the woods and multiple species on pasture, we recognized another opportunity to bridge the gap between what the land offered and the market needed. So we offered lots of events over the years, ranging from our monthly farm tours, where up to 100 people would visit, to farm dinners with James Beard award-winning chefs, to classes on charcuterie, hog and chicken butchering and even cheese making. And, I led many farm business classes, including farm schools and classes on starting an artisan cheese business. Speaking of artisan cheese, I certainly never intended to become a cheesemaker. But that happened because the land we purchased had an old milking parlor. It was run down and gutted…but the walls were there. So we invested in fixing it up, started milking cows and learned how to make cheese pretty well. Well enough to win awards at the United States Cheese Championship and at the American Cheese Society’s annual competition anyway. So, as you can see there are lots of ways to match the land to the market. Just think about the best way to do that without using debt, and you’ll be on your way. Okay, so we’re talking about a business, right? Not a hobby. It’s not about what animals are cute or what garden tasks you like to do. It’s about making money. And making enough money…both in terms of profit margin and in terms of steady cash flow. Often, I see or hear people ask this silly question. “What should I charge for my beef/beets/chicken/soap”…you name it. Silly because that’s not a question business owners ask others. You think Apple is asking Samsung what to charge for the new iPhone? Sure, business owners think about that question of what to charge, a lot. No one other than you will know those data points. Sure, others might have an opinion of what the market will bear, but their answer is meaningless. For one reason, you can create a market for anything. You think we were all sitting around a few years ago thinking we’d be paying Apple $1,000 for a cell phone? Of course not, and who knows where we found the money to do so. I know I still haven’t, as I cling to my 5c. I’m still waiting for the Apple flip phone. But Apple created the market for it, just as you can for your farm products. But others won’t know what profit margins you require. For instance, if you have debt to service, your margins have to accommodate that. And they certainly don’t know your cost of production. So the point is, measure everything that affects profit. You absolutely need to know your cost of production, down to the nickel. What does it cost you, ALL IN, to produce that chicken, carrot or cheese curd. So…yeah, I didn’t have to confront this issue too much, but many do. Again, this is a business, and your various family members are, in effect, employees. Employees need direction which means someone’s in charge. That means there will inevitably be disputes and disagreements. So far, no problem. We all encounter that in our jobs. Only, on the farm it means a disagreement at home can become a disagreement at work and vice versa. Now, there are tons of great things about being a farm family as well. It can really bring you closer together, spending your days working the land as a team and a family. My wife and I have such great memories of everything from milking cows and watching calves be born to delivering to customers and packing orders. A lot of it is hard work, but it’s work we did together. Then again, we had more than one heated…uh…exchange, when the sheep got out and trying to corral them, or with dealing with various livestock issues in the heat of the moment. 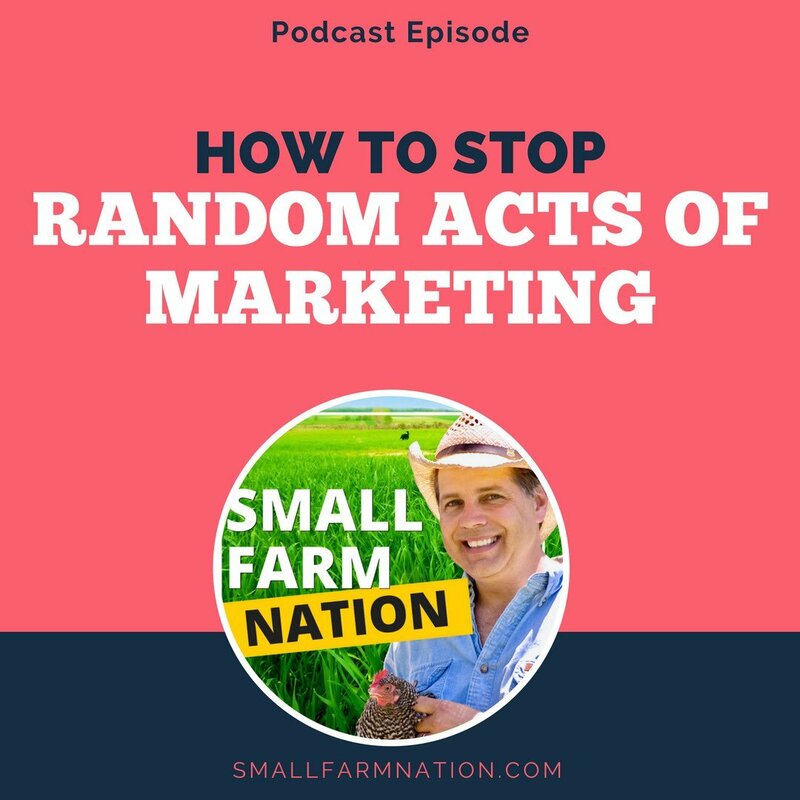 Because sometimes you deal with stressful, time-sensitive situations on the farm, as you watch your cows run down the paved road toward the neighbors pond. And what you do and say in those moments can linger over to the home. So you need to have a process for openly communicating those issues and working together. The point I’m making is that there is no separation between work and home life on the farm. It is ALL farm life. All the time. If running a business is new to you, this next statement may sound strange. But there are lots of ways a profitable business can go out of business. Or file for bankruptcy. May sound counterintuitive, but it’s true. There have been plenty of businesses that had attractive profit MARGINS but poor cash flow management. And they went bankrupt, because they couldn’t come up with the cash to service the debt. Sounds crazy, right? But think of it this way. Let’s say you start a pastured poultry business with…I don’t know…a few hundred heritage breed chicks. You grow ‘em out, butcher and sell them and get rave reviews. Then, a local retailer catches wind and wants to carry your birds. And they want you to grow 150 per week for them. The heritage breeds take 12 weeks to grow out and need 3 weeks in the brooder. So, you use your carpentry skills to expand the brooder, but you still need to order the chicks. Since it takes 12 weeks to grow out, you’ll have ordered 1,800 chicks before the first chick is processed. If the birds cost you $2 each, all in, that’s $3,600 you’re out, just for the birds. Then, you have to pay to process your first batch of birds. Even if you do it on farm, you had to buy the scalder, plucker, knives, tables, chill tank and bags. And all the while you’re providing the labor as well. So you’re no doubt out well over five grand before you deliver that first order of 150 chicks. When you do, the retailer is thrilled, and you are too. Until you find out their payment terms are net-45. So you have to wait another 45 days to get paid. By then you’re ten grand plus in the hole and sinking fast. Believe me, I know. My first business started with just me working at home. Five years later I had 450 employees in six countries, so I know what that kind of growth is like. Exhiliarating? Yes. Scary and dangerous? You bet. And there’s all kinds of other events that can kill your business. Like uninsured loss. We had two 28’ walk-in freezers for meat and eggs. What if they failed and we had no ability to store the meat? What about our refrigerated cheese caves that housed, easily, a hundred grand worth of cheese? If those fail and you’r not insured, you’re done for. Same thing with livestock that’s stolen or destroyed, flood or fire damage and so on. And, another way you can be profitable and go out of business is that you run into legal problems, usually from a law suit. And that’s a perfect segue into rule #9. I’ve said this a bunch now, so I’ll say it again. This is a business, right? So, does any real business NOT operate as a corporation? So form an LLC at a minimum to provide some separation of business and personal assets. Now you know I’m not a CPA or lawyer so I’m not giving legal advice. See your experts for that. But, in any business, you gotta protect your personal assets, especially in this litigious society. And, beyond legal structure, get the right insurance to protect you. That means a farm policy to insure against loss of equipment, infrastructure and livestock. But, more important, it means a product liability policy. That’s super important if you’re producing food like, say, cheese. I had all my policies through Westfield Insurance. They have a Farm & Ag section on their website. But keep in mind that product liability insurance likely won’t save you if you’re negligent. I mean, you gotta make the cheese the right way following good manufacturing processes and so on. So protect your assets by forming the legal structure recommended by your advisors, and by getting insurance. Now, onto, I’m sure, the most controversial rule on this list. Yep, there it is. I said it. Close the door behind you, burn the bridge and quit your day job. 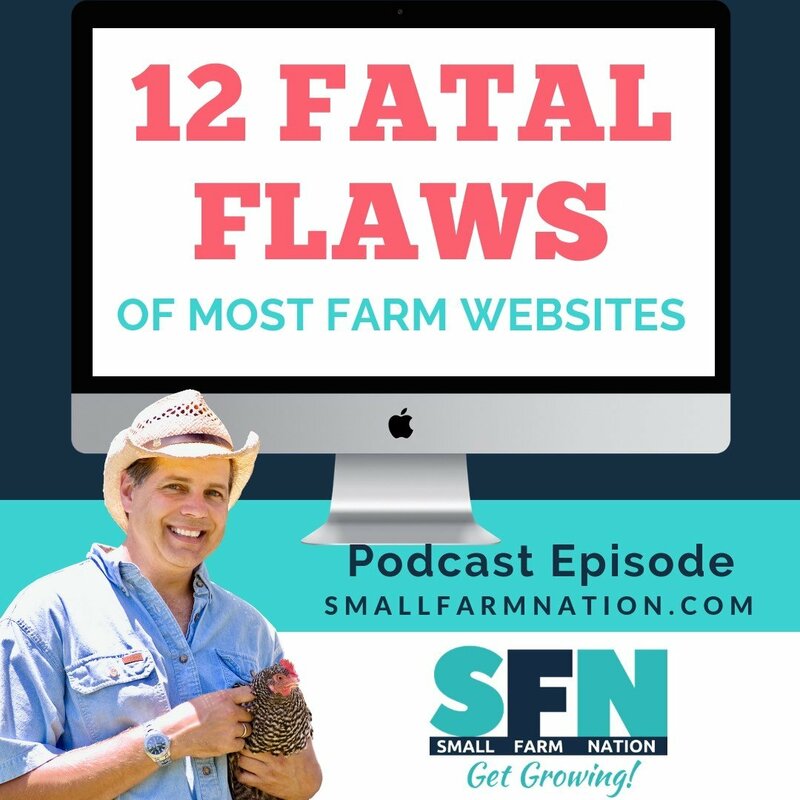 If you want to have a successful farm business—or any business—get rid of your crutches. And, okay, that’s fine if that’s what you wanna do. But I’m willing to bet that, if you think that way, you’ll always be stuck in your day job. Now, I am NOT telling you to quit your job and go start a farm. That would be ridicolous. What I am saying is that, if you are determined to have a farm business, then—yes—go out and build one. 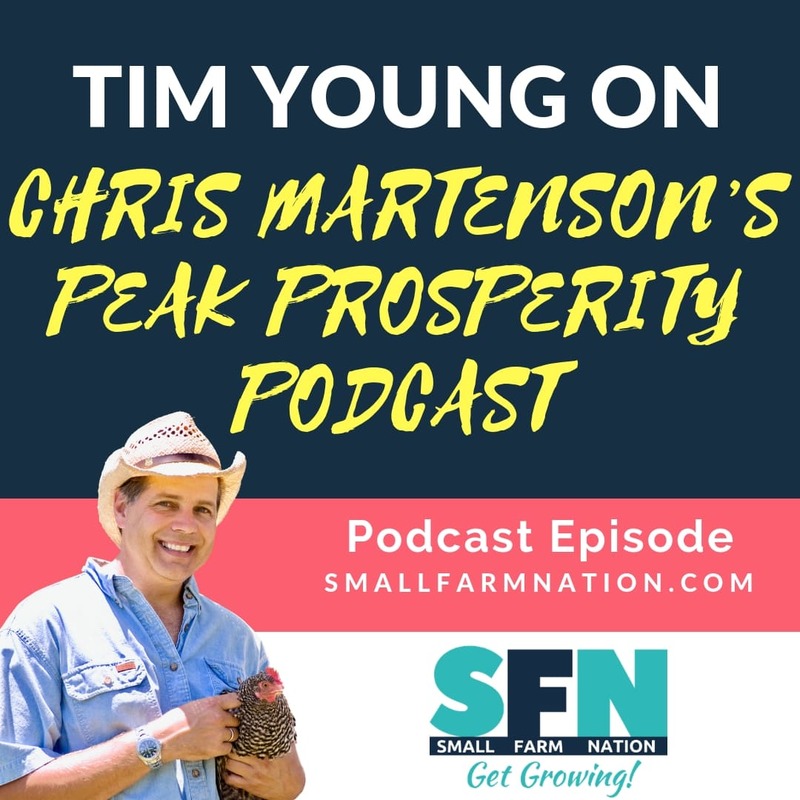 You want to build a great farm business, and it will take your full-time energy, passion and commitment to achieve that. First, that income (and yes, health care) from the job will always be tugging you as a safety net. Hey man, you can always come back to the rat race. It’s clean here, you get a paycheck. Stop doing that farm work. The second problem is that it takes away a lot of your attention, what with the commute, the stress and the actual day job you’ll have to do. That’s consuming energy that could and should go into your dream of building a farm business. And this isn’t a case of me not practicing what I preach. I jumped ship as president of a division of a Fortune 500 company at the height of my career to start my own business. Then, I was immediately without a job, and used 15 credit cards to run up $120K in debt to finance the launch of my first business. So, yeah—I broke that debt rule. But I knew I’d sell clients and service the debt, which I paid off that first year. But I burned the bridges behind me. With no place to run back to I only had one direction to run. Forward. I’ve been running that way ever since. So, if the last rule seems crazy, this one may as well. 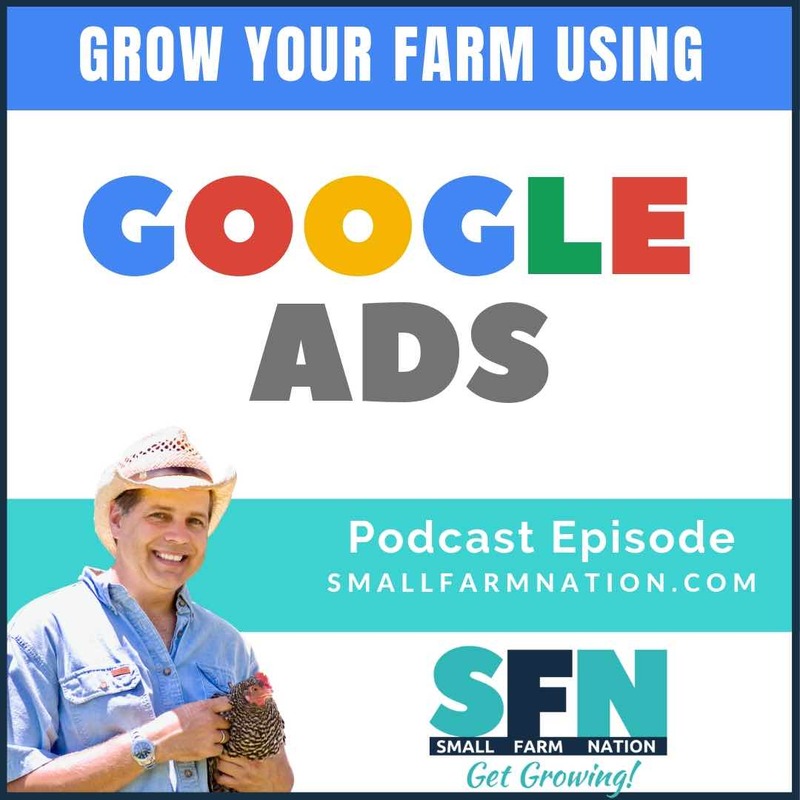 I mean, how can you start marketing before you start farming? Well, you can. That’s exactly what we did, as we started blogging and marketing over a year before we had our first product. And it’s exactly what James & Eileen Ray did at Little Seed Farm. Go back to that episode and listen to their story of how they shut the doors behind them, left their New York jobs and started a goat’s milk soap business in Tennessee.